I've been slowly working on a few things, and one issue that has come up is - what system should everything be compatible with? The early OSR clones started as ways to produce material compatible with AD&D (OSRIC) or B/X D&D (Basic Fantasy and Labyrinth Lord). But now there is a proliferation of clones that are played on their own. Each has some amalgamation of rules differences from the next, including armor class and similar concerns. Little or none of these make much difference in the long run. AC 7, HD 1, hp 4 each, #AT 1, D 1-6, Save F 1, ML 8. Monster Name & number appearing - Monster's name with the number appearing in parentheses afterward. Armor Class (AC) - give the descending AC. Different games with ascending AC use different bases, so it's not useful to list ascending ACs. There will be a slight difficulty where an unarmored person with a shield would be AC 9 in AD&D and AC 8 in B/X D&D, but this isn't big enough to worry about. Movement rate (MV) - listed in feet, i.e. 120' rather than 12". Easy enough for OD&D and AD&D players to drop the 0; scale inches tend to confuse things. Dexterity (Dx) - listed 3-18. This is for several games which use Dexterity to break ties in initiative (or Holmes D&D and its clones that use them to determine it in the first place). Hit Dice (HD) - number of hit dice. Optionally this can include B/X style * for special abilities. Hit points (hp) - a number of hit points. This should be in every stat block. List multiple creatures as "a,b,c,d" or "x each." Number of Attacks (# AT) - the number of attacks per round. Damage (D) - this is listed as a range, i.e. 1-6 or 2-7. Multiple attacks should be listed sequentially with "/" between each, such as 1-3/1-3/1-6. Special Attacks (SA) - list any special attacks. Special Defenses (SD) - list any special defenses. Save - this is listed as a class and level. Typically monsters save as a fighter of level equal to their hit dice. Morale (ML) - morale rating from 2 to 12. 12 is the highest morale rating and indicates least likely to flee. Write-ups for monsters would include all of the above plus Intelligence. Treasure type would have to be determined by the individual referee; it's too disparate across games. I'd really like to make "OSR Compatible" a thing. Maybe someone with better Photoshop skills than I would be able to make up some kind of logo and release it open-source? I'd like to put it on my own future releases including Dungeon Crawl #4. Also - any additions or changes would be welcome. While the relentless 'systematizing' of the OSR itself still puts me off a bit, I think that 'OSR compatible' as a broad term has some future in it. The retroclones produced in the last few years have diverged more and more from the original games (hence 'neoclone' and the like) and this has led us to note the fundamental compatibility of the rules between all of these editions. 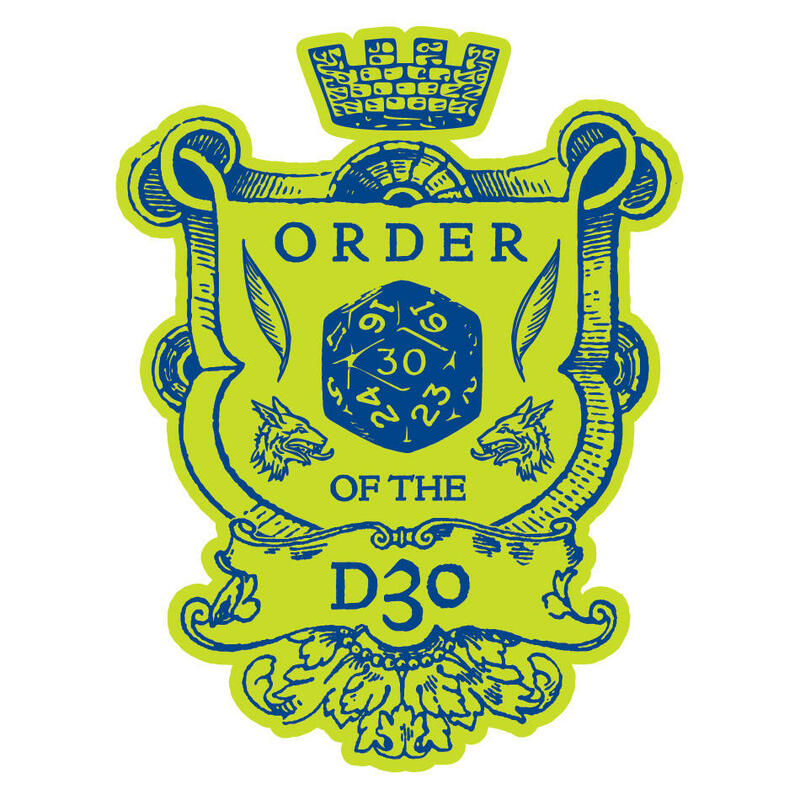 Therefore, rather than tying a game to a particular iteration of D&D, recognizing that 'if you play LL/OSRIC/S&W/1st/Basic/OD&D/whatever, you will get into this' could be a useful blanket term. Also, pretty much everybody freely converts material from the different early editions anyway, so I think people are less and less concerned about adherence to a particular branch of the game. Good idea! HD 1, AC 9, # attacks 1, Mv 12, damage 1d6, disposition +0. In general I think this would be fine. 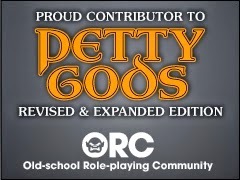 A broad standard should allow designers to get off the hook for certain things while still keeping in the "general compatibility" that I think the OSR needs. I agree with the sentiment, but I think you're wrong when it comes to AC. Books like Crypts & Things already give monsters with both ascending and descending AC. To be really compatible with most of the OSR, a product should indicate both. Simply state that ascending AC in your adventure/book starts from 10 and you're good. People who use games that start from 12 will know to add +2. In any case, even if an ascending AC would use different bases, they are never that different in their results regarding monsters. When it comes to NPCs with classes it can be as simple as giving the general stats of the character and say 'AC of a human of his Dexterity score wearing a Leather Armor +1'. It's not perfect, but it IS compatible with all OSR games, unlike just placing a descending AC. Unfortunately, ascending AC simply isn't compatible across games. In Swords & Wizardry, unarmored is an AC of 10; in Basic Fantasy RPG it's 11; in Weird Fantasy Roleplaying (LotFP) it's 12. In ACKS it starts at 0 and goes up from there. If I gave the orcs as AC 6 , I don't think that is more useful to someone playing BFRPG than saying AC 6, which they already know how to convert. As I said, all that is needed is to mention that the ascending AC starts from 10 and from there GMs that use other games can EASILY do the math in their heads as needed (+1, +2, etc). It's better to include it than to leave it out. MV: You're missing the time component. Rules Compendium, IIRC, gives movement in feet per turn? There may be some incompatibility there. You've also got different round-lengths, so a creature with MV 120' might not be so impressive in 1E AD&D but would be pretty outstanding in a 3E or Hackmaster 6-second round where a human average is around 30'. I'd rather give the MV as a multiplier of human average - fractional, decimal, whatever. AC: Since what you're really saying is "difference from the base number" just do that. AC listed as a whole number, bonus if positive, penalty if negative. An AD&D Orc with AC 6 really has +4 AC, and a 3E human in Chain Shirt with AC 14 really has +4 AC. Few enough creatures will have negative AC that it'll be obvious (no AD&D player will think "oh this Gelatinous Cube must really be AC -2"). So, for the most part, ascending AC gamers can look at a +4 and think "ok, target number 14". Descending AC gamers can look at a +4 and think "ok, 4 points of AC puts him at AC 6" which if you're accustomed to THAC0 really isn't much more convoluted. Or they can say "+4 AC means I need 4 over my THAC10" which kinda makes more sense than THAC0. HP: This actually gets really crazy when there are a lot of 1HD monsters. It just isn't cool to list the HP in my opinion. The referee should just roll the dice or choose the numbers or whatever, and write it in the margin. You also get problems where the monster has d6 HD in one edition, d8 in another, and all over the place in 3E. Some games give max HP at first level, minimum HP based on CON, reroll and take best of the two at each level, reroll at the start of every adventure, etc. We also have to assume this will be used for NPC stat blocks, which means we need to allow for differences in class HD. Damage: Please just give the formula. Instead of "2-7" type out "1d6+1". It's worth the extra 2 letters worth of space to make the referee faster when trying to figure out something like 8-16 damage. Morale: This might be handled differently in each game. Some games don't have morale rules (I know, right?!) but even for those something like a descriptor (as in 2E Monstrous Compendium) could help. In this case, though, I would actually argue for Morale being described as a save vs. fear. That links it to whatever is used in the local system without giving a system-specific number. If you want a cowardly or brave monster just give it a special ability for a save bonus vs. fear. Undead and others immune to fear are of course immune to morale failure. I just don't understand why Morale needs to be a different rule, except for determining when it's invoked (first injury for a high-HD individual, or first casualty for a group, etc.). If your game doesn't have saving throws, and there's no similar stand-in (the caster makes a caster check to succeed at a Charm spell - that should suggest that the attacker rolls to succeed at intimidating the enemy), I think the game is different enough that we shouldn't expect compatibility at all. Anyway, my suggestion is to eliminate ML from the stat block and give some creatures a save modifier vs. fear instead. MV: I think base move in feet is the most broadly compatible. This is trivial to convert to classic D&D's round move (divide by 3), OD&D and AD&D scale inches (divide by 10) or any other scale you may want. AC: Everything other than descending AC per OD&D, classic D&D or AD&D gets complicated fast. It's not universal but every different system has some simple way to convert D&D AC to its own. HP: I like having HPs listed. Some people don't. I'm ok with having them as optional, but I include them. For NPCs, unless someone has a ridiculous number of HP, it shouldn't be a huge deal. Damage: This is just a legacy of TSR. I don't see why we can't do damage as xdy+z. Morale: If it's included I would prefer it to be a Moldvay-compatible morale since I always use that system whatever I'm running. But I'm ok with tagging it as optional, I just like including it because it helps me in running an encounter. Don't even give a number. Give an armor equivalent. A monster might, for example, have AC "leather + shield". So if you were playing AD&D, it would have AC 7, if you were playing B/X, it would have AC 6, if you were playing C&C, it would have AC 13, if you were playing LotFP, it would be AC 15, etc. This is actually a pretty cool idea for early D&D where the range of armor types is limited and "armor class" refers to a category or type of armor (light/heavy/armored for example) which I think extended as far as 1E's weapon vs. armor type. Basically, you're saying Leather / Mail / Plate, or Flexible Hide / Flexible Metal / Rigid Metal. I'd expand this to allow for Rigid Hide, which could be used for a somewhat soft-shelled crab for example, or the bones of a skeleton. I'd also add "Flesh" for unarmored human / slime and jelly / zombie, etc. I chose to give Rigid Hide a 7 instead of 6 to more clearly delineate between hide and metal. Ignoring dexterity bonuses, this kinda matches the "average dexterity" creatures like horses. Kinda. And now you can say "normal snake has a soft hide, giant snake has flexible metal hide" and your weapon vs. armor type will apply properly. Giving each weapon an "attack type" like Blunt or Cleaving rather than a huge table of specific weapon types vs each armor class, you can have a small table that's less prone to abuse and in fact replaces the base armor class number. Your call on whether the added strategy in a weapon type vs armor type table is worth the extra rules-load at the table. It's tough to beat the simplicity of "Roll d20 to hit AC target number, bonus to hit based on class and level, all weapons do d6 damage". One thing it would do is make comparisons between monster AC and equipped armor easier. For example, this giant crab has AC equivalent to metal plate mail! Or this armor is almost as good as dragon scales! Kinda neat. But if, as you suggested, the gamer was supposed to make the translation on the fly - I think that's totally plausible. I know I can rattle off the AC values of the armor types in AD&D and 3E (even though I didn't play 3E so much). It starts feeling like a 3.x stat block again to me. And while I love 3.x, I don't need that complication in my OSR stat blocks. All of this is why I think for simplicity's sake we should use a D&D or AD&D descending armor class. There's not a lot of cases where AC 10 actually comes into play, and the differences are virtually trivial, whereas the plethora of ascending scales is enough to drive one batty. Yeah Dyson, I'm not exactly advocating using what I wrote, but it's simpler than 1E's weapon vs. armor type table, so if someone wanted to use something like that then the above would be less to chew on but achieve the same goals. I'm pretty happy doing only one rules-layer for each feature. For example, in attacking, taking into account the target's defense and the attacker's offense is enough. I feel like you don't need to compare the offense to the defense to get a derived modifier. Although that works in -- War Machine I believe? -- where one unit can choose to Trap and the other choose Charge, and the Trapping unit really kills the Charging one because they fell for the trap, you see? It's more obviously a rock-paper-scissors rule, whereas the weapon vs. armor type table is like rock-paper-scissors-leather-fire-psychic-etc. because there are so many items to compare. Regarding the stat block issue, I agree wholeheartedly, but that's a problem in early D&D where you have to know your normal AC, your Surprised AC, and your Shieldless AC. At high level you might get hit by anti-magic so you need to know your non-magical AC at some point. Even in 1E at high level I need to have a writeup of where each bonus comes from so I have my totals right. In this case, having a Stirge get AC from its body and AC from Dex seems necessary for the weapon type vs, armor type rule to work. I know we're worried about statblock creep, and for that reason alone I'm pleased to NOT use weapon vs. armor type. I'm hesitant with the stat block given since the three main source systems (OD&D, AD&D1e and B/X D&D) do not use Dex, so those of us working from / to these sources would have to create a LOT of Dex scores on the fly and they would differ drastically from publisher to publisher since most of the OSR OGC monster books do not include ability scores. That's fair. I have Dex in Dungeon Crawl because I want to support people who use Holmes and its simulacra (BLUEHOLME and Mazes & Perils). It's an addition that should be strictly optional. At this point I think the standard should be something where, as Brendan discusses above, there is a small core of needed things (HD, AC, attacks, damage) and a bunch of optional items (hp, morale, save as, movement rate, dexterity, special attacks/defenses). Monsters save as Fighter unless otherwise noted as a special ability. All creatures do 1d6 damage and have 1 attack, unless otherwise noted (giants do 2d6 or 3d6, hydras have 8 attacks, whatever). HD are all 1d6 so you roll HP. XP value derived from HD ignoring special abilities (which further discourages grind fights against Undead and Demons). So I guess almost everything in the compatibility statblock would be useless for me. The morale number is growing on me, though, if only to remind the DM to use morale. Imagine how important morale would seem if it were one of four or five items on the statblock. OK, one separate thought. The statblock doesn't need to be as short as possible. It needs to fit on one line. Leaving unused space at the end doesn't seem as valuable as including the next-most-vital piece of info. Some people might put their statblocks in a sidebar though. I like putting the statblocks on the removable cover or back page, for ease of reference, rather than statting out every Orc. It also lets the DM glance over the module's bestiary and get a feel for the tone of the module and which enemies are especially threatening.